Are you at risk for lowering you Quality of Life due to Fire or Natural Disaster? The answer to that question requires a professional analysis that involves both you and an insurance professional that works for you. We can tell you this. The answer to that question is always “yes” if you ask a sales agent of a major insurance carrier because they never forget who they work for – the insurance carrier. Only and independent insurance agent works for you, and therefore, only an independent insurance agent can determine if you are already adequately covered against fire, flood, earthquake, and a host of other disasters. Your friends and neighbors at Tristate stand ready to go to work for you. 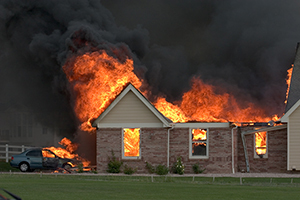 Submit a request for an immediate fire and natural disaster insurance quote. Also, we invite you to call us anytime for a no obligation insurance consult.